Plan a romantic dinner with you and your mate or a birthday brunch with the girls. You don’t have to be a chef. You can do Chinese take-out (as seen in the photo to the left) or pull frozen foods right out of the freezer. Taste is important, but presentation is key. Present a plate that makes you feel like you are out at a fancy restaurant. If you can’t make it to Starbucks for your favorite hot chocolate, feel free to use a packet of powdered hot cocoa. A can of whipped cream and a sprinkle of nutmeg will make you feel like your sipping in style. In the above photo, I went to a local Latin restaurant and Chinese restaurant to create this surf and turf platter. The plate was purchased at a 99 cents store. With the white rice I purchased at the Chinese restaurant, I used a measuring cup to mold the shape of the rice. I turned the measuring cup over and carefully used a spoon to pull the rice out of the mold. Keeping the shape of the mold, I drizzled some of the sauce from the shrimp over the rice. 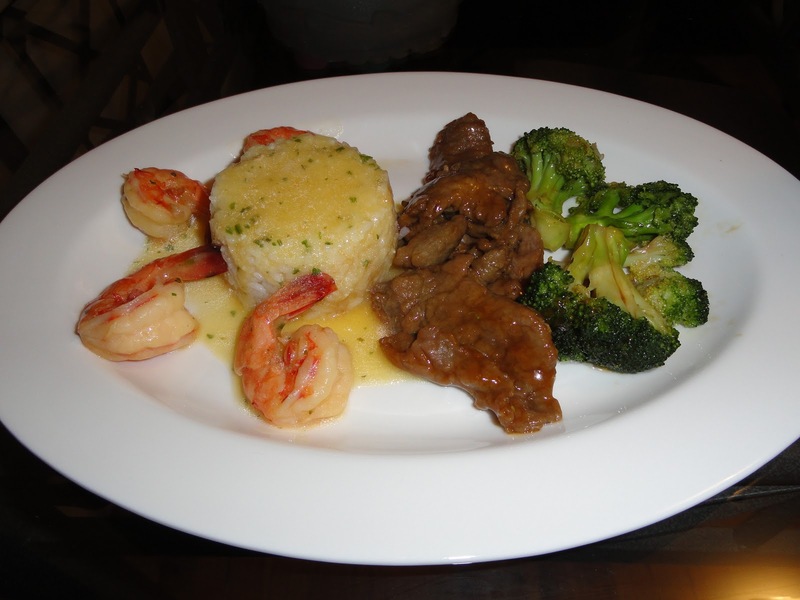 The beef and broccoli were carefully placed on the plate to give the dish a 5 star appearance. I enjoyed this meal with a fabulous mocktail Mimosa consisting of parts ginger-ale and orange juice. Remember, you don’t have to be rich to be wealthy. Think Rich, Live Wealthy, Be Happy! You are a Metropolitan Junkie.